You are cordially invited to attend my next Open House this Saturday, May 7, 2016 in the desirable Via Marina Community. 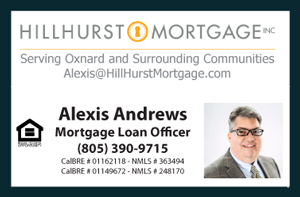 The property location is 3400 Keel Avenue in the beautiful coastal city of Oxnard from 1 PM to 4 PM. I get very excited and happy when I have the opportunity to showcase such a unique property in Via Marina Neighborhood in Oxnard. Come out this Saturday to my Open House and see for yourself the unique features of this home and it’s location. Want to see more properties in the Via Marina Area? The below Real Estate Listings are Homes for Sale, including condos and townhouses in the beautiful neighborhoods of Via Marina, Sea View Estates, and Bolker Park located in Oxnard CA.